Starting a business is not an easy task. There are several aspects that you need to consider if you are planning to put up a business. Keep in mind that investing requires proper planning and consideration. On the other hand, if you do not want to put much money or you only have small capital to start a business, vending machine business is the best choice. Vending machine business only requires less time, money and effort. 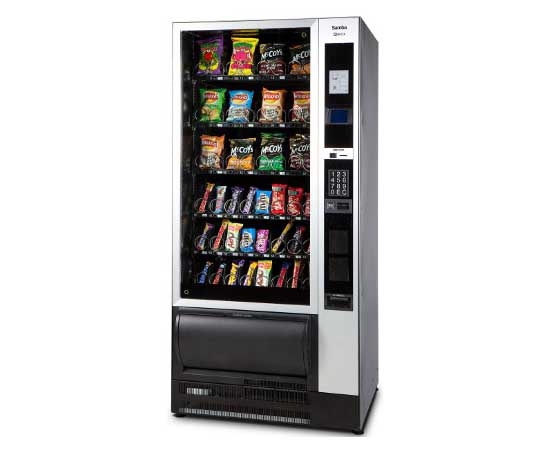 Read on to know the top 5 reasons of using vending machines in small business. The best thing about vending machine is that you will have the chance to get a good passive income. This is a great opportunity to get a passive income, wherein you don’t have to commit much of your time and effort. Owning a business like a vending machine is undeniably the best choice for you to get an income. Moreover, the vending machines can also give you a chance to make money even if you are not working too much. After setting up the location and the products that you wish to sell, then your business is good to go. If you choose to franchise, you will have the right opportunity to get training videos and customer support that will stock your machine with your products. Another reason why you need to select vending machines is that the schedule is very flexible. No need for you to get up early just to go to the office promptly every day. Additionally, if you want to check on the machines, all you need to do is to check them through remote monitoring system. You can also hire a caretaker in case you are not around. This is the opportunity that you cannot obtain if you are just working in an office. As long as your vending machine is properly set-up, you have all the freedom in the world to do your task. One top reason in using a vending machine in small business is that you can be the boss. Sometimes, it is difficult to have a good relationship with your boss especially if he or she is difficult to please. When you have your vending machine business, it gives you the opportunity to be your own boss. If you are the boss, there is no need for you to go to wake up early everyday to deal with the traffic. It is also very helpful for you to save expenses to gas and other things. Obesity is one of the common problems of many teenagers these days. If you want to help people battle obesity. A vending machine that offers healthy snacks and foods is very essential. By offering healthy foods for vending machine, people will become more aware of the significance of taking care of their health and body. Efficiency is another reason why you need to select a vending machine for your business. This is a type of business that is not too in-demand in terms of effort and time.